The 2019 AGM will be held on Saturday 6 April, 11 – 4, at Coventry Transport Museum. See the Events page for full details. It is coming! See Wales on Wheels. Our Autumn conference was held on Saturday 6 October, again at Coventry Transport Museum. Full details are on the Events page. Journals from issue 68 to issue 87 have been published on the Journal Archive page. Older issues wil be scanned and added over the next months. STOP PRESS – After much searching we now have a full set of Newsletters and Journals from issue 1, plus conference proceedings. A project to digitise these is ongoing. 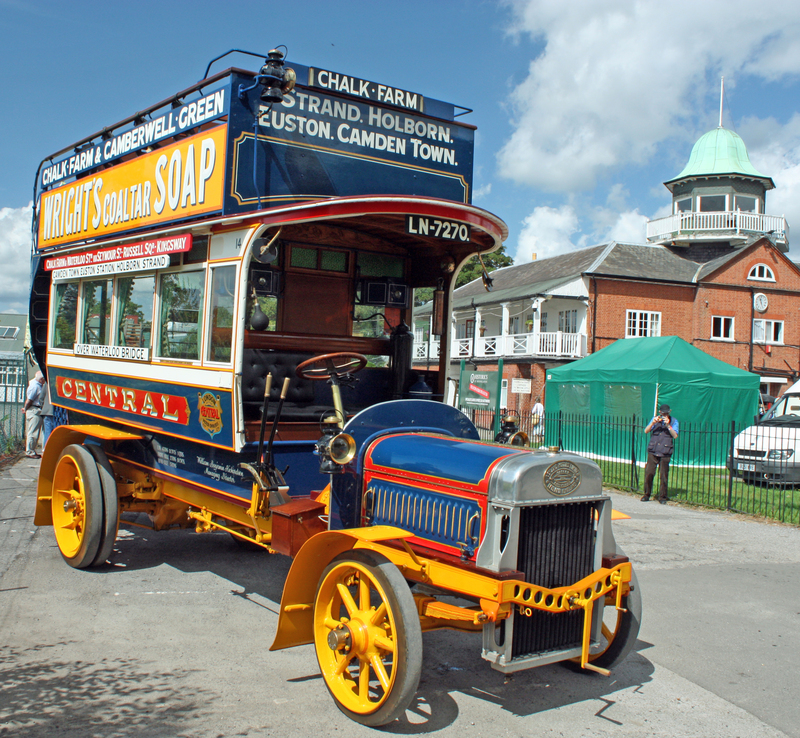 The Roads & Road Transport History Association, founded in 1992, promotes, encourages and co-ordinates the study of the history of roads, road passenger transport and the carriage of goods. In 2005, the Association became a Company Limited by Guarantee. We cover the whole range of transport history from the earliest times to the current age … packhorses, carters, street furniture, economics, social trends, the effects of gender upon transport, personalities in road transport, avenues of research, regulation by governments or local authorities, manufacturers and bodybuilders, cycling, sources of transport history, the preservation of artefacts, photographic material, the exploration of archives, the need to promote transport and logistics as a career, a general, boundless interest in transport, and even quite simple nostalgia. This breadth of interests contributes to valuable cross-fertilisation. We aim to encourage those interested in a particular aspect of transport, to understand their chosen subject in the context of developments in other areas and at other periods. Previously known as the Roads and Road Transport History Association, the 2017 AGM approved the name change to Road Transport History Association. We advise members that this change does not demote our interest in roads – it merely simplifies our title. All roads remain an integral part of our interests – as well as the transportation modes using them. From Roman roads, turnpike roads and toll bridges to developments in smart motorways, please be assured that our focus has not changed. Registered Office: The Kithead Trust, De Salis Drive, Hampton Lovett, Droitwich Spa, WR9 0QE. I’m a retired journalist, seeking to confirm a bus accident in Oldham in or about 1959. The information I have is sketchy, only that a young lad (probably under 6 years old), named Michael Taylor, was apparently killed when struck by a bus as he crossed a street. Michael was from Oldham. Are there accident records held by the bus company, dating back that far? I understand Oldham Corporation Transport was the bus company at that time. I am not living in England, and it would not be convenient for me to search actual newspaper library records. Any assistance or suggestions would be greatly appreciated. I am a Brazilian journalist. I am writing an article at our website explaining “Why do Brits drive on the left side of the road?”. Can anyone at the RRTHA please answer me a few questions by phone or by email about it? I am planning to publish it at the end of the month. 1. Did Ancient British walk on the left side of Roman roads? How can we know it? 2. Did Ancient British used to carry swords while walking on the roads? 3. Were armed conflicts usual on Roman roads in Britain? Do you have examples of it? 5. Anything else you would like to add? I don’t know about the Ancient Britons marching armed like this but the Roman invaders would have done so on occasion. (See: https://www.quora.com/On-long-marches-did-the-soldiers-in-a-Roman-legion-really-wear-their-full-armor-Or-was-the-heavy-gear-transported-by-wagons). However, that would not explain why Italy as a modern nation chose to drive on the right. I hope that this information helps, Eduardo.